This weekend, we washed out, literally and figuratively, as the rains of Hurricane Lee invaded our personal workspace and closed some tracks in this East Coast tri-state area. Tioga Downs was forced to cancel its racing (“Lee” had been downgraded to a Tropical Depression but was still raging a stormy path up the inner coast). This caused the $342,875 Cane Pace to move to Pocono Downs, where oddly enough the floodwaters were bad but already receding. The move put the traditional half-mile pacing-triple-crown event that was going to be raced on the near-mile to a five-eighths mile and if affected the event greatly. A few good colts in the event, including our choice, Powerful Mist, were forced to make sweeping brushes early in the race. Pocono’s tight turns made it easy for Betterthancheddar to win despite leading the pack into a sizzling first quarter. He surrendered the lead to Shadyshark Hanover and was given a perfect pocket to rest as “Shadyshark” negotiated three-quarters in a startling 1:20.4 (remember, this is a five-eighths track). “Better” simply closed in the open-stretch lane and passed Shadyshark. “Mist,” our choice at almost 8-1, made up significant ground, going from sixth to third in the final strides. Better was 4-1. Favorite Roll With Joe suffered from making a three-wide move at three-quarters, which is a fatal move for so many good horses at this oval. The Cane Pace is followed by the Little Brown Jug (Sept. 22) and the Messenger Stake (Nov. 12) in making up the Pacing Triple Crown. Ten horses have won the Pacing Triple Crown, with the most recent being No Pan Intended (2003). The accompanying filly stake, the Shady Daisy, also moved to Pocono. However, the two divisions were presented as non-betting events. Therefore, we could not have lost the pair, which we suggested include wagers on Ms Malicious (seventh) and Whats New Pussycat (sixth). Our only winners this weekend began with a miserable payer. 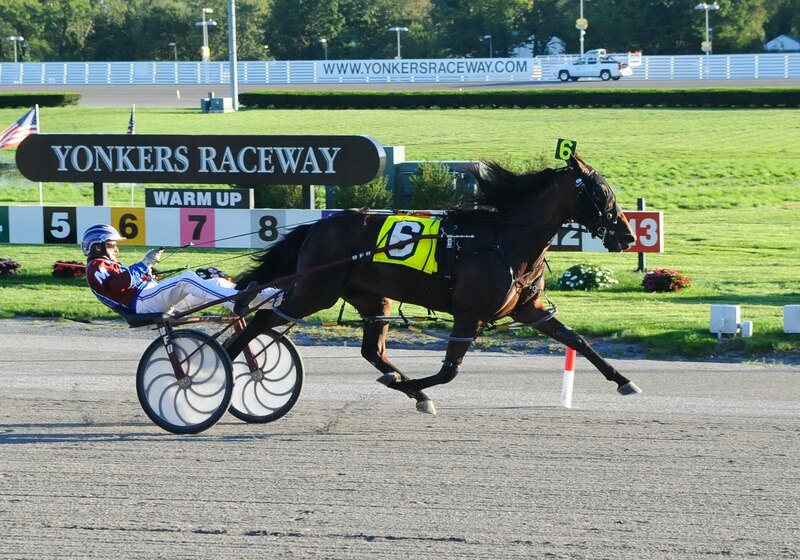 On Friday at Freehold, in the “Smith” for filly trotters, Firstclassprincess won and paid $2.60. In the Smith for fellas, our choice at 25-1 finished fourth. If you were following us on Twitter you could have nailed one of Friday’s Kentucky Sires Stakes finals at The Red Mile. We gave out Gym Tan Laundry, which won and paid $13.40. We had two close calls, Celebrity Lovin (10-1) was second and 19-1 Sandra Volo, who finished third. At Mohawk, Saturday night, favorites mauled our choices. We almost won with Westwardho Hanover, who finished third. This guy should blow ‘em away next time after the extra-mile he put in to be third. He was left at the gate, spotting the field at least 10 lengths. In the stretch, he altered his course when he had no room to close and was firing full engines in the final strides. Charlie De Vie broke in his Canadian Trotting Classic elim and Manofmanymissions didn’t, so we lost. “Charlie” may still be as good as “Man” in many ways but cannot stay on target to prove it often. In the other elim, the duel we hoped would allow Whatever It Takes to win never surfaced. It was a tight finish, though, with a blanket of horses, including our choice, across the wire. The favorite won by a nose. We hope you collected tons of points wagering on Indiana Downs this past Saturday night and we’re sorry we could only produce two winners. Sheza Cool Cookie paid much less than we imagined, $5.40, and Go On BB was no bargain at $2.80. In the thick of it, we gave you three seconds, Trottin Tiger, Flight Elal and Fitz Bow. Following us on Twitter allows you to keep checking our tweets for harness updates and picks too late to be included in the blogs. You can join Twitter or just peruse if you want to get the kind of info and opinion no other harness-Twitter account offers you. As well as tweeting some profits, we have some fun. See You At Peelers won’t take on the boys in The Little Brown Jug, according to trainer Jimmy Takter. 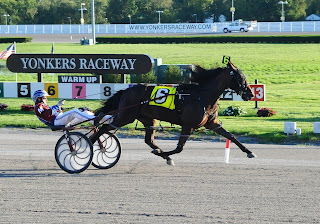 “Peelers,” who lost her second race at Tioga Downs in a New York Sires Stakes division last week on a disqualifcation, was taken in for a physical exam to be sure she was sound during this tough campaign. A source from inside the sport that spoke to us under the condition of anonymity, said, “The last two drivers with Peelers have been horrendous as she has been gutted to the half in unbelievable fractions. What these good drivers fail to realize, since they have driven the best horses in the world, is that this is a three-year-old filly, albeit a extremely talented one, she is still just a filly. “Not to many world champion mares, even with 60 starts under their belts, could have handled fractions like that. The little girl has had only 22 starts and hasn't been pressed until recently. Keep up to date with the Breeders Crown by following our exclusive blogs, the Breeders Crown Countdown and the news we report at the website for the Hambletonian Society. These types of races could be done to utilize everyone’s weekend in a better way but not by betting with each other though this is a good way.